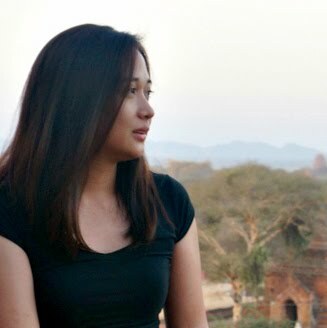 Serene, scenic and nerve-wracking. That's how I would describe our Ngong Ping 360 cable car experience. Ngong Ping 360 is one of Hong Kong's must-see attractions. 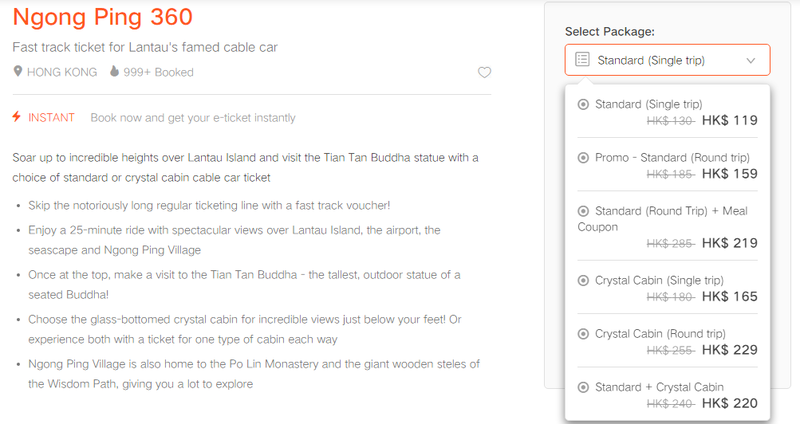 It is an ideal jump-off point to exploring Lantau Island in Hong Kong. 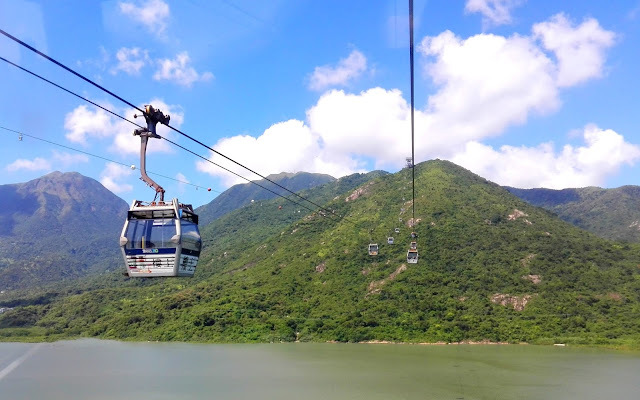 It includes an incredible cable car journey and a visit to the themed Ngong Ping Village. 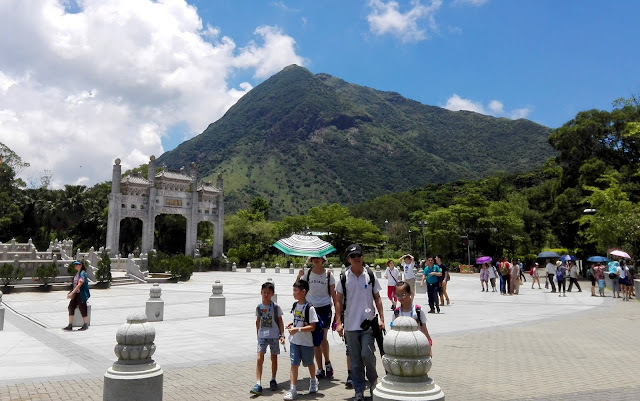 We went to Lantau Island on a Saturday morning to experience Ngong Ping 360. To skip the notoriously long regular ticketing line, I've already pre-booked our tickets through Klook. After redeeming the actual NP360 tickets in the pre-booked counter, we immediately boarded the cable car as there was no queue for the Crystal Cabin that time. Visitors can choose between Standard Cable Cars and Crystal Cable Cars. The Standard Cabin is cheaper in price but the Crystal Cabin offers a more exciting experience. As you can see, the Crystal Cabin is equipped with a glass bottom that offers an astonishing bird’s eye view of the sea and lush green mountainside underneath. We went for the crystal cabin and I suggest you go for that one too, for a better view and a more thrilling kind of experience. 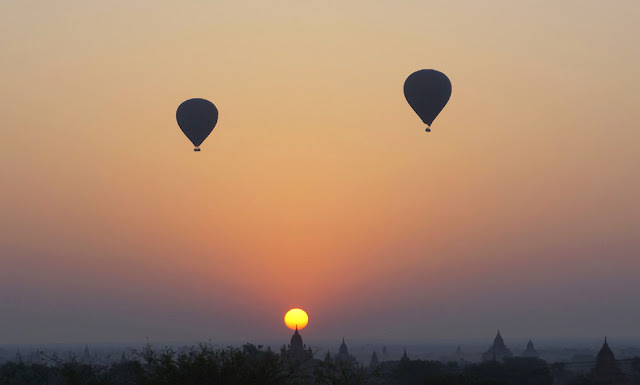 For those who are afraid of heights, you should give it a try. It is good to get out of your comfort zone once in a while. The cable car ride lasted for about 25 minutes. 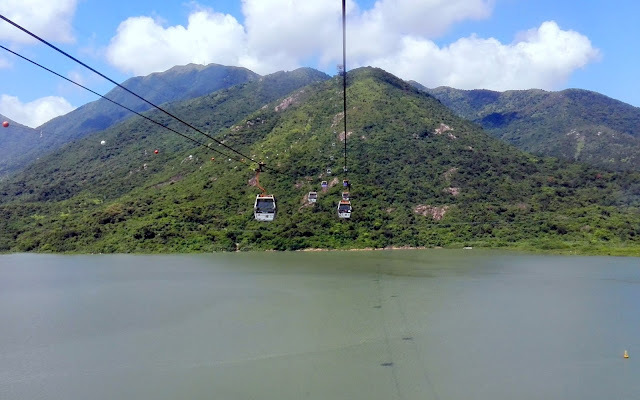 That's 25-minute of nerve-wracking ride with views of the sea and awe-inspiring Giant Buddha nestled in the lush mountains of Lantau. After the 25-minute cable car ride, we were then greeted by the themed Ngong Ping Village. 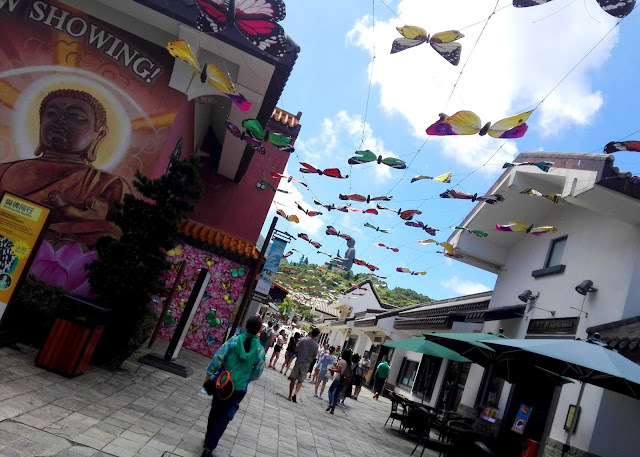 The Ngong Ping Village has a wide array of shopping stalls and eateries. 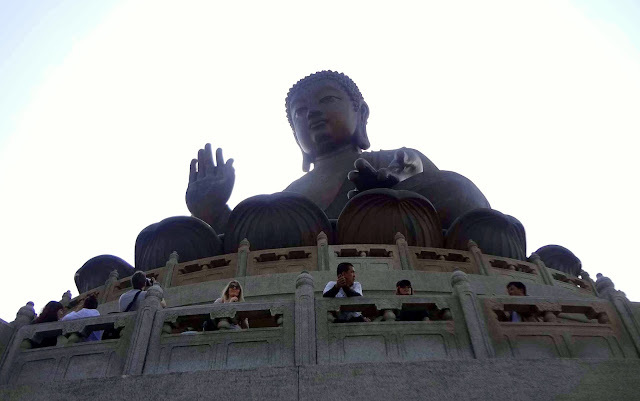 The Big Buddha, Po Lin Monastery, and Wisdom Path were also a few minutes walk from Ngong Ping Village. 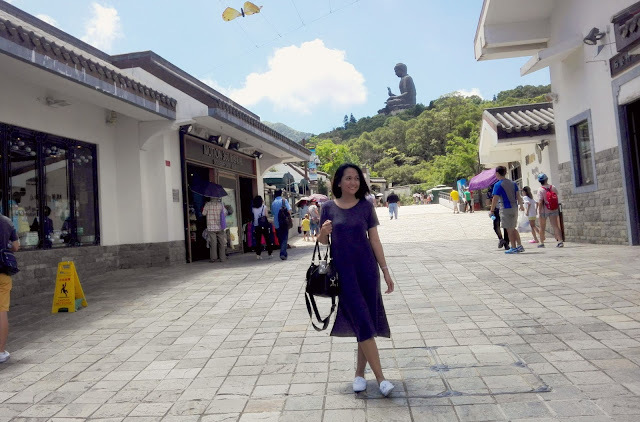 Ngong Ping Village hosts the largest bronze statue of Buddha in the World. It is huge. You have to climb 268 steps to reach the Buddha. Ngong Ping 360 was definitely one of the best experiences we had in Hong Kong. The cable car ride was breathtaking and visually spectacular. To avoid long queues, you may wish to buy your tickets online. 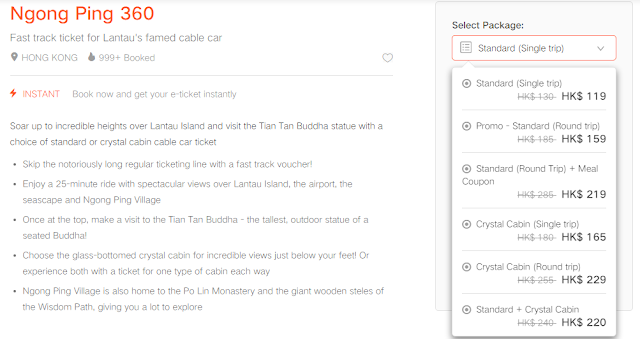 I've booked our Crystal Cabin tickets through Klook and got them at a discounted price of HK$229. That's HK$26 in savings! Ngong Ping 360 is accessible by MTR train and several bus services. The Tung Chung Terminus is in Tung Chung town center, next to Citygate Outlets Mall. It is about two minutes walk from Tung Chung MTR Station (Exit B). If coming from Hong Kong Int'l Airport, catch Bus S1 to Tung Chung Bus Terminus. It is next to the Ngong Ping Tung Chung Cable Car Terminal. The bus journey takes about 10 minutes. 1 comment on "Hong Kong Ngong Ping 360 Cable Car Experience"
Look like you enjoyed a lot, last year I was the through kkday.